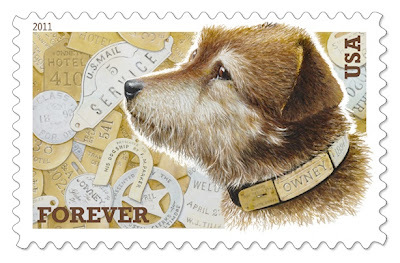 We adore the Owney The Postal Dog Forever Stamp issued this past summer by the USPS. Here is a bit of the history behind the Owney stamp from the USPS. This good luck stamp was created by art director, Phil Jordan and veteran stamp artist, Bill Bond.